So you’re thinking about attending SpaceCom, but how do you communicate that to management? Don’t worry. SpaceCom provides all the materials you need to communicate the value of the event and gain attendance approval from your manager. We encourage you to use the resources and tips below to demonstrate why SpaceCom is an outstanding investment. Not sure how to ask your manager for attendance approval? Download our customizable justification letter is just what you need to communicate the value of attending SpaceCom to your manager. Do you research, design, manufacture, operate, or maintain aircraft or spacecraft? Then download our Aerospace justification letter here. Do you work in Energy, Maritime, Advanced Manufacturing, Agribusiness, or the medical sector? Then download our Industry justification letter here. In today’s challenging economic environment, it’s important to save money where you can. Plus, the lower your expected expenses are, the higher the chance your trip to SpaceCom will be approved by management. Book your room in the SpaceCom 2018 hotel block to take advantage of specially-negotiated rates and be sure to register as soon as possible in order to take advantage of early bird rates. Attendance to the SpaceCom Exposition is FREE! You can also take advantage of one and two-day conference passes. Conference program attendees can participate in interactive case study groups, roundtable working sessions, and industry-specific show floor tours. Plus, the exposition floor offers all attendees direct access to content, products, and premium engagement opportunities that will help you capitalize on the commercialization of space to accelerate growth and profitability. 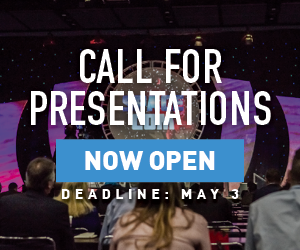 Engage with experts from NASA, international space agencies, and commercial industries — as well as government and academia, and bring back ideas to your organization for immediate implementation. Once your manager sees all of the new business contacts you made, how much you learned, and how that knowledge can be applied across your company, they will be more likely to send you to SpaceCom again. They may even join you at the next SpaceCom! Download a sample trip report here. Bring your SpaceCom materials and the what you learned at our many sessions back to the office to share with your coworkers. Also, offer to do a brief presentation at a future staff meeting to let everyone know what you’ve learned.